What, when, and where are the most relevant and essential events, conferences, and webinars related to fintech and innovation in financial services? Find them here–along with any discounts on tickets we might be able to offer. On 10-11 April, Deloitte was the platinum sponsor of the Innovate Finance Global Summit (IFGS), the world’s leading FinTech conference. Innovate Finance is an independent not-for-profit FinTech membership association who seeks to address the key barriers and opportunities in the FinTech ‘ecosystem.’ They have over 250 members (Deloitte being one) who range from start-ups to the world’s leading global corporations. The 2017 conference brought together 1,200+ individuals from leading institutions including start-ups, policy makers and investors to share ideas and solutions to the challenges facing financial services. You can view the post event report from Innovate Finance via their website. and see the latest in FinTech from Deloitte UK here. This multi day event will define what is “real” in blockchain technology and focus on how to mainstream real-world applications for consumers and enterprises alike. Consensus 2017 will feature 100+ speakers and 2,000+ attendees from the leading industry start-ups, investors, financial institutions, enterprise tech leaders, and academic and policy groups who are building the foundations of the blockchain and digital currency economy. Deloitte is proud to once again be the Title Sponsor of Consensus 2017. This year’s event will take place on 22-24 May 2017 at the New York Marriott Marquis located right in the heart of New York's Times Square. Exponential Finance is an intensive three-day conference that brings together a select group of leading executives, investors and entrepreneurs from around the globe to explore how exponential technologies are impacting business and our economy. Artificial intelligence, digital currencies, robotics, nanotechnologies, crowdfunding, and computing systems-together we’ll explore how these and other technology forces are rapidly reshaping the way we do business. Deloitte is proud to once again be the Platinum Sponsor of Exponential Finance, partnering with Singularity University. This year’s event will take place on 7-9 June at New York Marriott Marquis located right on Broadway in New York's renowned Times Square. Register here using the discount code DeloitteFriends. For more information, please refer to the conference website. 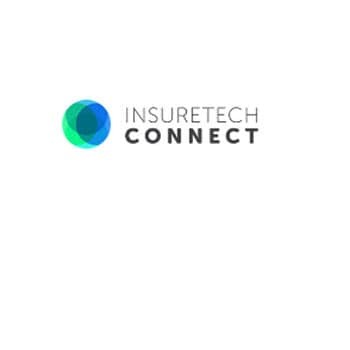 InsureTech Connect is one of the world’s largest insuretech events—offering unparalleled access to the largest and most comprehensive gathering of tech entrepreneurs, investors and insurance industry incumbents from across the globe. With 3,000+ attendees, approximately 200 speakers and over 50 sessions, InsureTech Connect is ideal for executives looking to gain insights into the future of insurance innovation and technology. Deloitte is looking to create a strong presence in the insuretech space, and as part of that effort is a sponsor of this year’s event. The event will take place on 2-4 October 2017 at the Caesars Palace Hotel and Casino located on the Las Vegas Strip. Money20/20 is one of the world's largest and most comprehensive event covering payments and financial services innovation for connected commerce at the intersection of mobile, retail, marketing services, data and technology. With 11,000+ attendees, including more than 1,700 CEOs and presidents, from 4,500 companies and 85 countries, expected at the 2017 US event, Money20/20 is critical to realizing the vision of disruptive ways in which consumers and businesses manage, spend and borrow money. Deloitte is proud to once again be a sponsor of Money 20/20.The event will take place on 22-25 October 2017 at The Venetian & The Palazzo Hotel located on the Las Vegas Strip.